Flowers make for the perfect gift and the best part? They can turn any occasion into something special. Online flower delivery portals are bae because they’ve made life easier, with not just flowers but even cool accessories, desserts and personalised gifts to send along. We’re long-time fans of Khoja Florist in Bandra, which makes the most tasteful bouquets with any kind of flowers and will have them delivered in any part of the city. They have three stores in the city but also sell all varieties of flowers online and excel in mixing and matching different flowers to make stunning bouquets or baskets and even artistically design wedding stages, mandaps, cars, rooms and whatnot. They also have a 24-hour contact number and accept payments on PayTM, making our lives super easy. A flower delivery service in Bandra creates the most beautiful bouquets in the unlikeliest of containers – baskets, teapot holders and watering cans. House Of Flowers is a floral arrangement company run by the owner of Candies. They make some stunning arrangements, perfect as a pick-me-up for you or that special someone. Want to know the best bit? You can make an arrangement with them by paying them a sum (INR 4,000 or so) and they will deliver surprise arrangements to your place, even a few times a month. It’s the perfect gift to yourself! This website can deliver flowers and gifts the same day or even do midnight delivery. You can pick flowers for any occasion, and choose gifts by type or even relation. 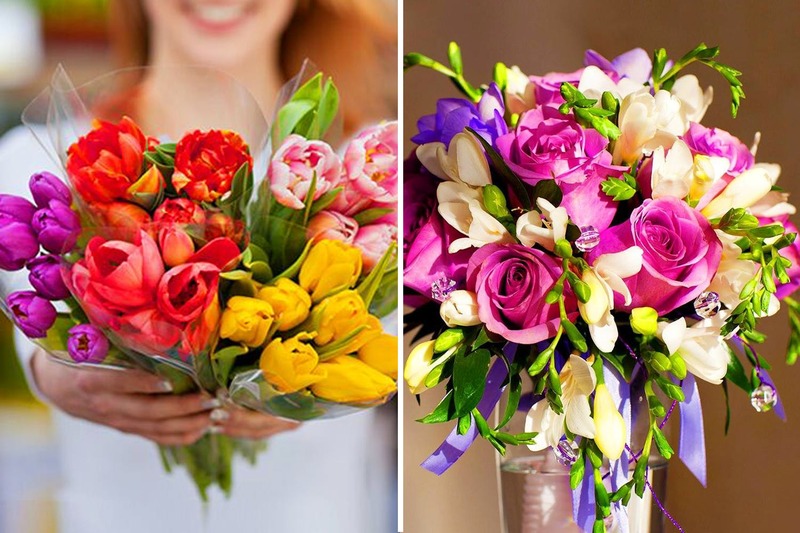 And, if you are one of those who has relocated to a new city and miss your family, then fret not, because now you can make your presence felt by sending your loved ones flowers on every special occasion. Having been around for more than 10 years, phoolwala.com claims to deliver flowers on time. Now just that, they also have flowers based on a number of occasions, even letting you know the special days that are coming up. They also have a special midnight delivery service where they deliver flowers and cakes to you. Apart from this, they send flowers to parts of the country and even abroad, some places where it’s been difficult to do so this far. Any occasion is not complete without flowers and cake. This online flower delivery service understands that need and promises to deliver flowers to any part of the city. You can send flowers on the same day or even avail their midnight delivery option. They also have a special fruits and flowers combo that has caught our fancy. Once of the most obvious choices that we all know about is Ferns N Petals, one of our favourite places that sells some awesome buds.